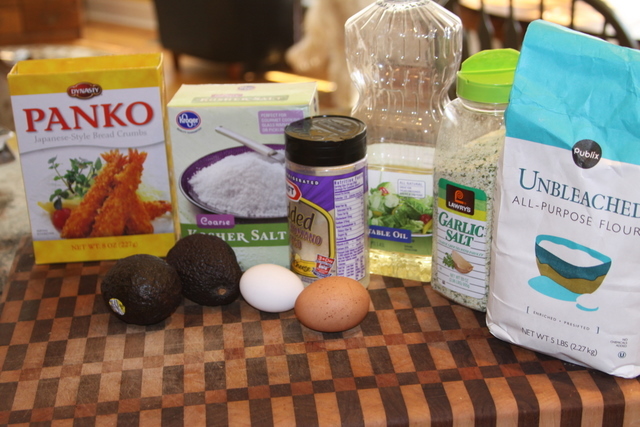 I found this recipe on pintrest... well, indirectly. 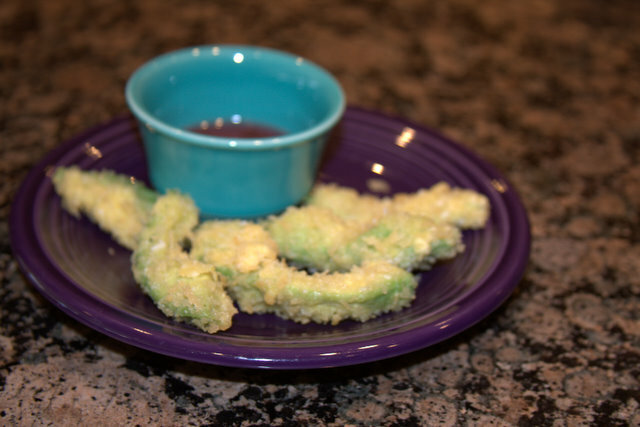 I found a "baked avocado fries" on pinterest followed it back through a few blogs and everyone had a little different take on this dish So I gave it a try. 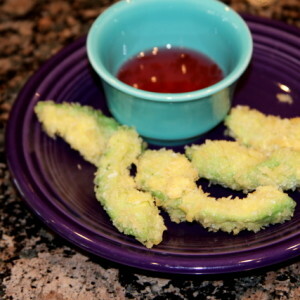 These are GREAT, but I LOVE avocado. 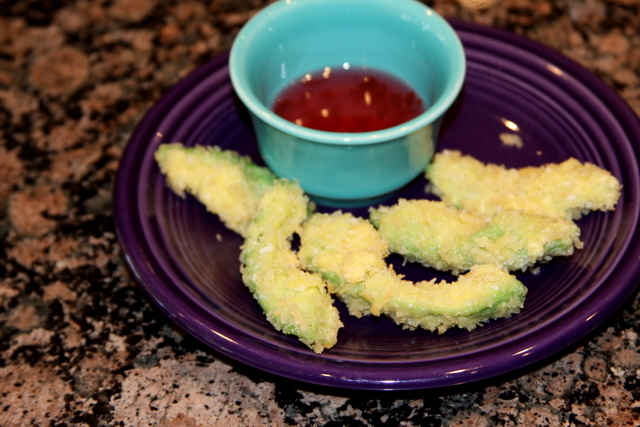 I served mine with pepper jelly to dip them in and the sweet was a wonderful addition. On their own they could be a bit bland. I also used pepper jelly for a dip with the fries and did no use the cheese in this picture, most of the recipes I looked through used it but I did not since I was using the pepper jelly as a dip. 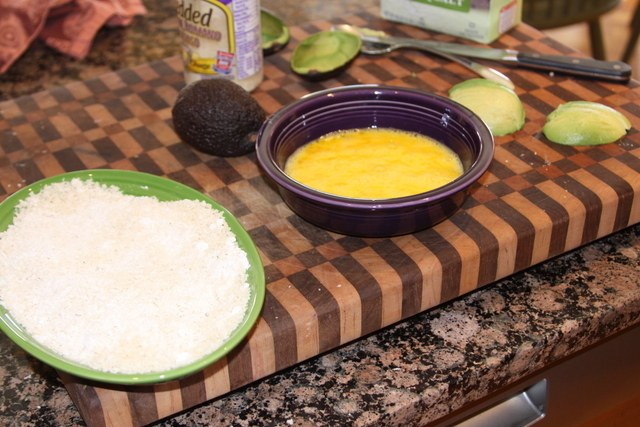 Then dip avocado slices into the egg and then in the panko mixture then add to HOT oil and fry until golden brown.